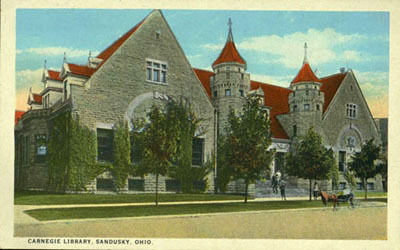 Seated on the steps of the former Providence Hospital in Sandusky are several babies and young children with their mothers on National Hospital Day on May 12, 1930. 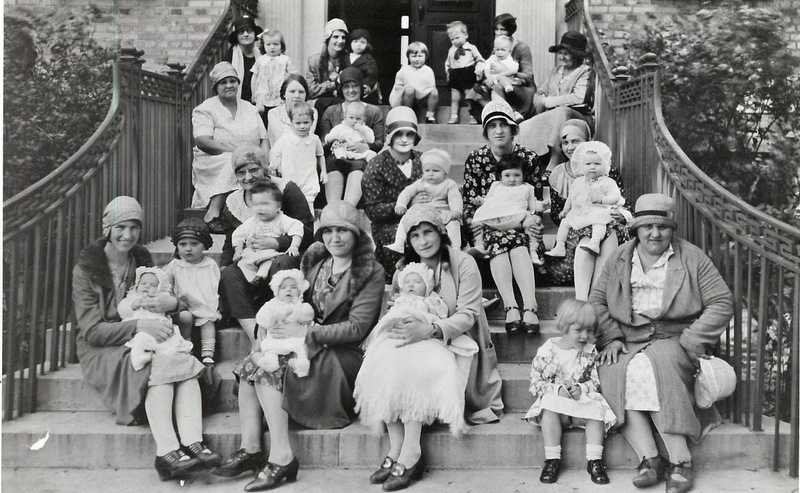 Ernst Niebergall was the photographer. 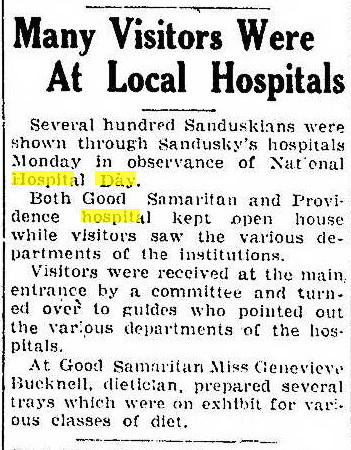 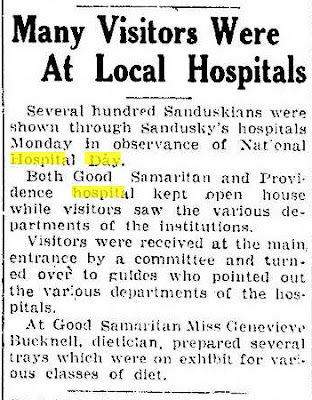 Both Good Samaritan and Providence Hospital held on Open House on this date, and offered guided tours of the hospitals to visitors who wished to see the various departments of each facility.